This lichen was growing on an ancient rock. Of course you can't tell how old the stone is but it is very old as it is part of the foundations of an Iberian town. The Iberians were living in this part of Europe long before the Romans came to "civilize" them. I will show you the ruins some time this week. For the moment, I just wanted to share the texture with you. The texture really is worth of posting ! know, is this a right word ) to a pollution. 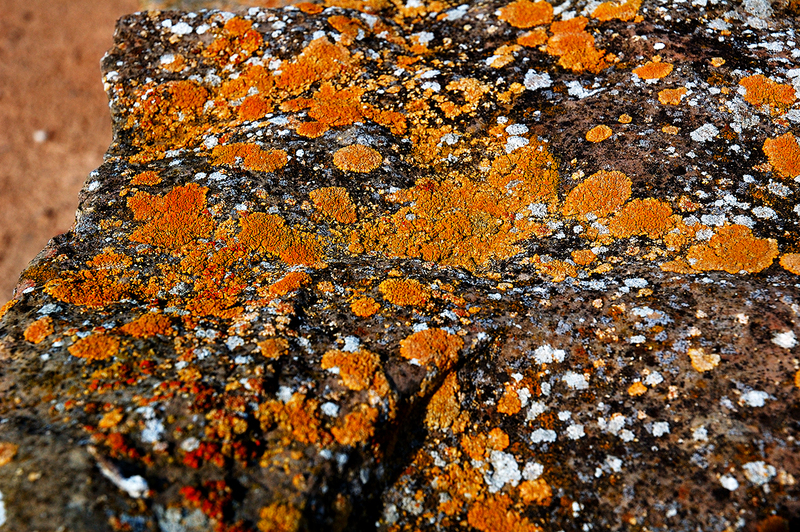 Even in Finland has tree lichens vanished because of air pollution.